The tachometers for our Ford Lehman 120 have been a question mark since we bought the boat. 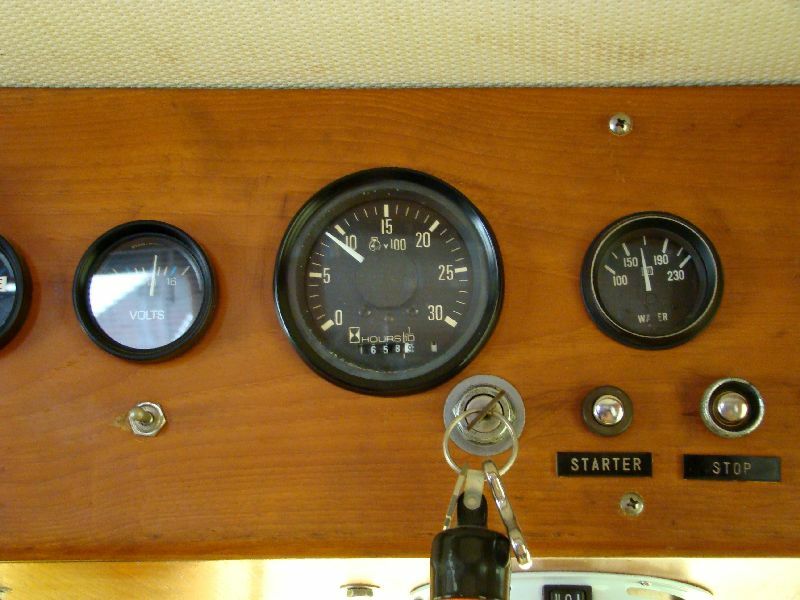 We have had no way to know how accurate they are, and our cruising RPMs help to determine how much fuel we burn per hour. With the price of fuel today, this is an important piece of information and we would like to be as accurate as possible. Of course, calculating the number of hours run and the fuel added to the tank will give us an average, but we want to be more precise. Running the engine at our average cruising RPMs of about 1750 will mean a fuel burn of about 2.2 gallons per hour (GPH). Running at 1950, the fuel burn jumps up to 3.1 GPH and at 2000 RPMs, it is 3.4 GPH. Having the correct readings on the tachs can save us some considerable cash considering our cruises are usually thousands of miles.